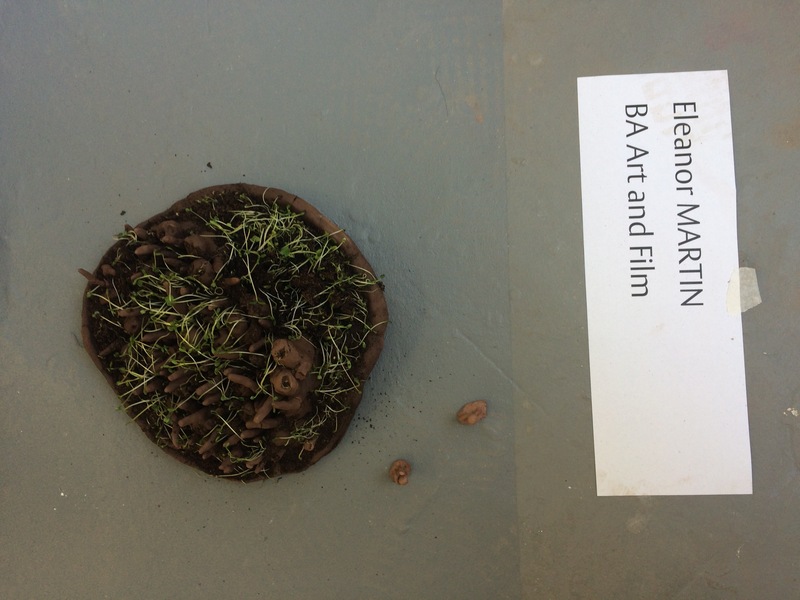 Collaboration work with Eleanor Martin for the sculpture project. I placed some of my small clay figures around her sculpture. This represents the figures running further away from the Jenga tower, and the awareness of the environment.